Paul urges Philemon to challenge social barriers and establish new realities of conduct and fellowship. His letter is nevertheless a disturbing text that has been used to justify slavery. 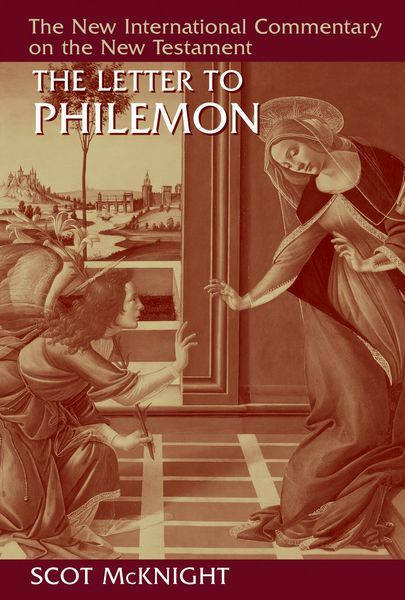 Though brief, the letter to Philemon requires and rewards close scrutiny. In this commentary Scot McKnight carefully analyzes the text of Philemon and brings its entanglement with ancient Roman slavery into conversation with modern slavery. Too often, McKnight says, studies of this short letter gloss over the issue of slavery. Christians who want to read Philemon faithfully must grapple with moral questions, personal and institutional, that Paul himself does not raise. Pastors and scholars will find in McKnight’s commentary the insight they need to teach this controversial short book in meaningful new ways.